April 6, 2014 was my first full day of a two-week stay I had during my second visit to Seoul. I was there to see G.O in Seopyeonje. When I planned that trip to Seoul, I was not aware that MBLAQ would be in full promotions mode for Broken and I had absolutely no idea how to navigate promotions, was not yet a full-fledged A+, and had no connections anywhere to anyone. But I went to the SBS studios any way that day as MBLAQ was scheduled to perform Be A Man on the Inkigayo stage. Of course, I did not get in. But, I had a great time experiencing the excitement seeing the myriad of fandoms outside of the SBS studios before they all went in to cheer on their beloved groups (the fanboys were my favorites)! 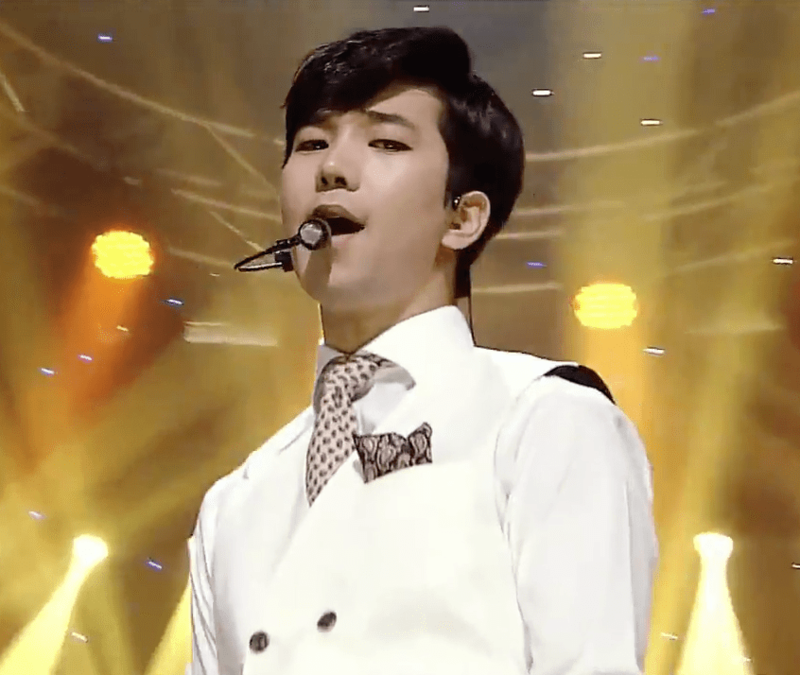 I may have missed out seeing my beautiful bias that day on the Inkigayo stage, but it was ok. I had four more performances of Seopyeonje to enjoy! Still…..he looked amazing in white. Categories: G.O Military Discharge, MBLAQ Musings, The G.O Files | Tags: G.O, G.O GIF, G.O images, G.O's Military Service, Jung Byung Hee, Jung Byung Hee GIF, Jung Byung Hee images, MBLAQ Be A Man, MBLAQ G.O, MBLAQ G.O images, SBS Inkigayo | Permalink.